The NEW Charleston Woodworking School facility is now OPEN at 2338 Ashley River Road! The Charleston Woodworking School is the only professional woodworking school in the State of South Carolina dedicated to the instruction of students desiring a career in woodworking. Founded by Master Craftsman Sam Sprouse, the school offer students a professional learning environment. A graduate of the prestigious Thomas Chippendale School of Furniture in Scotland, Sam also owns Sprouse Custom Furniture in Charleston. Every student is expected to meet certain production deadlines for projects. Just like in everyday business life, the student will learn to manage time limitations. Upon assignment of a project, a student will design and complete the project, at their own workbench, at their own schedule. Safety and quality are emphasized. Working on student designed side projects is highly encouraged. We want our students to be as creative as possible. 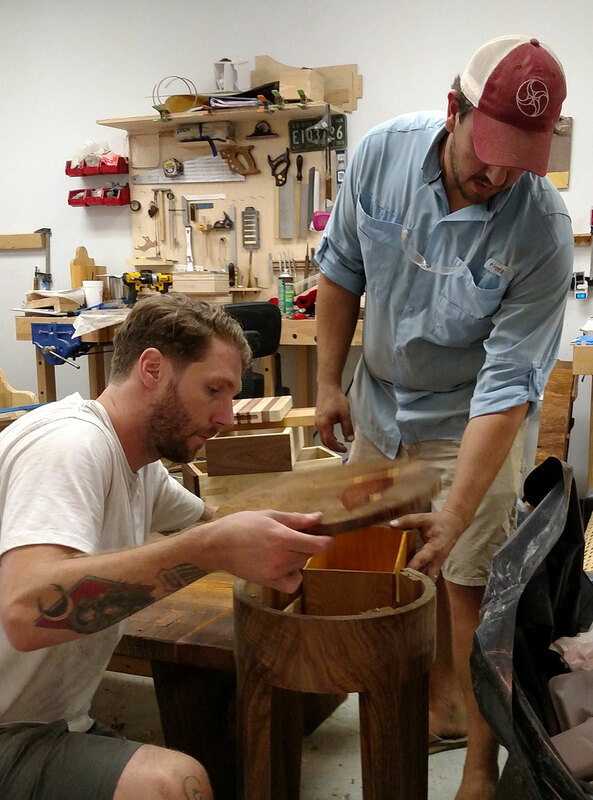 The Charleston Woodworking School, by accepting no more than 10 students, offers every individual a detailed and supportive learning environment. As a student, you will be learning from a strong local faculty of woodworking experts and business professionals. The Charleston Woodworking School emphasizes respect for the environment. Therefore, quality materials are harvested from local forests whenever possible. We have a strong relationship with several local wood vendors allowing us to select wood with the most beautiful grain patterns and colors. At the Charleston Woodworking School, we welcome students from all ages and backgrounds, including many who use our intensive, practical furniture making course as an opportunity to develop a new career. At the completion of the course, students will be better equipped to set up their own projects, and to begin additional courses with the eventual goal of setting up their own furniture business. Student enrollment at the Charleston Woodworking School is limited to provide a intimate learning community. The course load at Charleston Woodworking School is intensive, yet self-paced, and our students are expected to work and study hard. But, there are many opportunities to have a lot of fun while exploring the American South. The Charleston Woodworking School is located in beautiful and historic Charleston, South Carolina…an ideal location. Charleston is rich in history, culture, hundreds of exciting restaurants and entertainment, and easily reached by air, automobile or rail. There are many apartment and home rentals near the school. 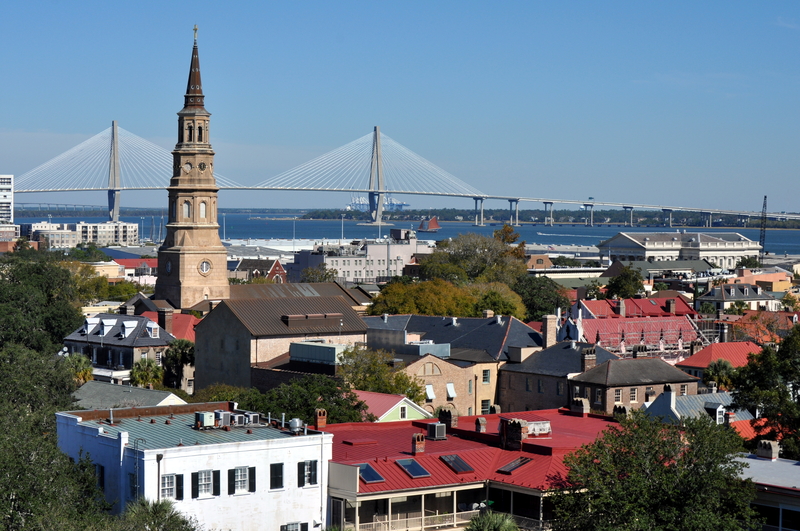 We will assist you with finding an apartment in the Charleston area. If you would like more information about where to stay during the course, please refer to any of the Charleston real estate rental companies for more detailed information. 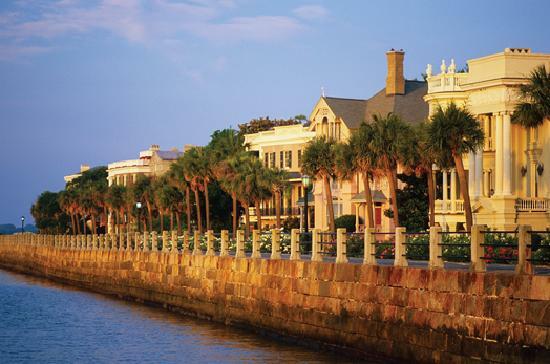 Click here to learn more about living in Charleston.